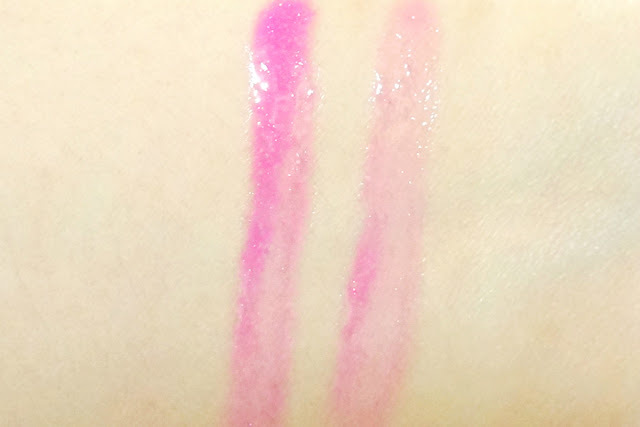 Biases aside, this "lipgloss" from MAC was part of the MAC Fashion Lover kit composed of three lip products: Flat Out Fabulous lipstick, Heroine lip liner and this Rhythm Lipglass. 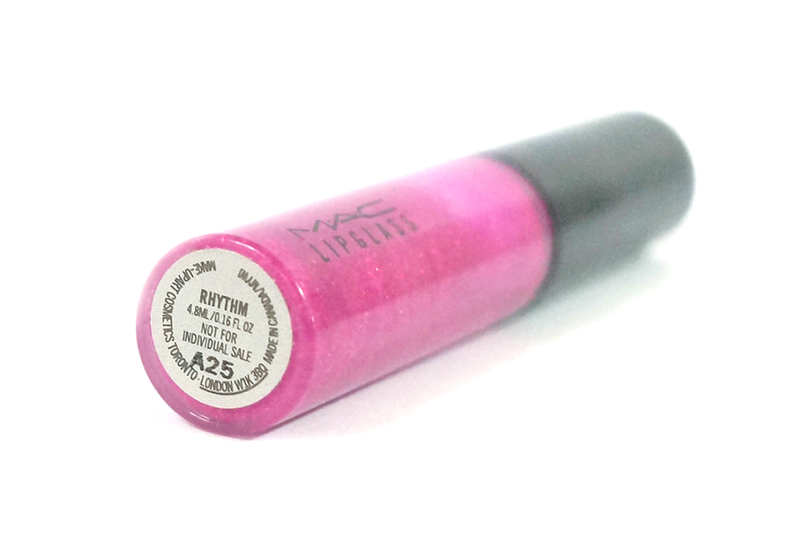 Rhythm is described as a "magenta fuchsia" with fine violet pink shimmers. On the tube, this lip gloss looks so pretty, with the deep pink base and lots of sparkles that catch the light every time you move it. 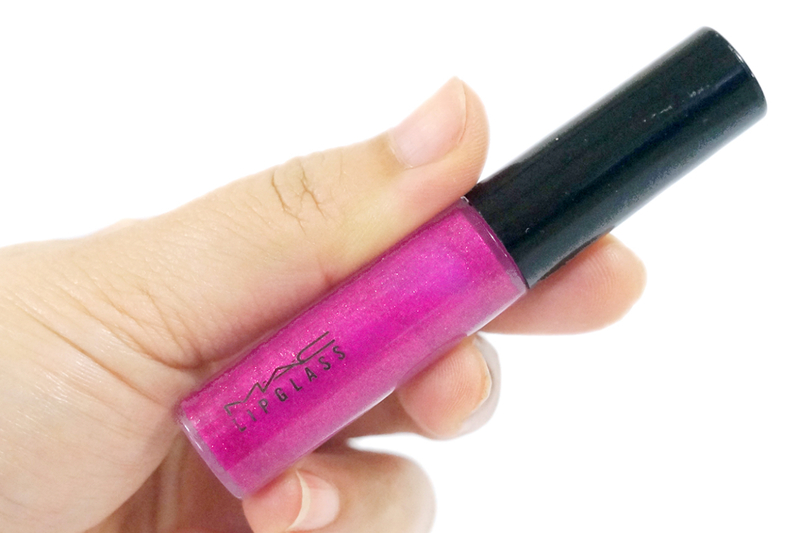 It's like an explosion of pinky-violet glimmery goodness. 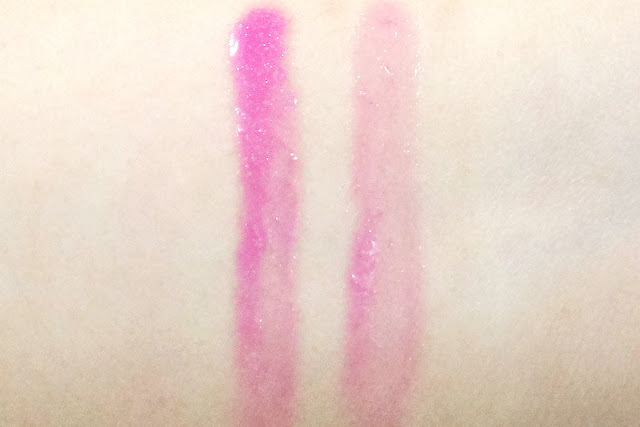 I had high hopes that this could be a good, pigmented lip gloss that I can actually like. 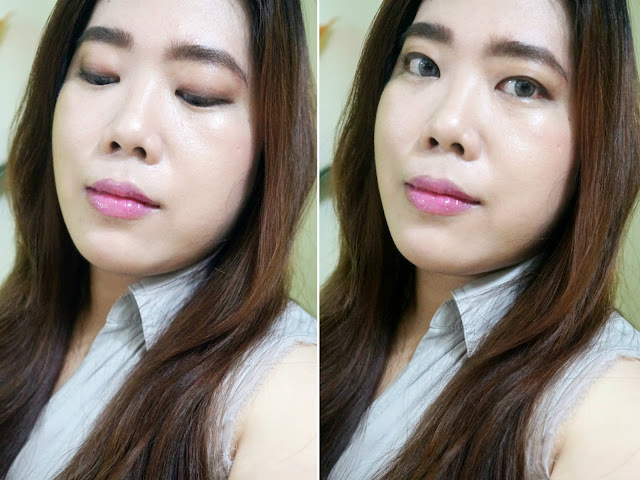 Applied on the skin, Rhythm gave a soft magenta pink tint with a bit of iridescent finish. It didn't look as deep fuchsia and pigmented as it was on the tube, which was a let down. 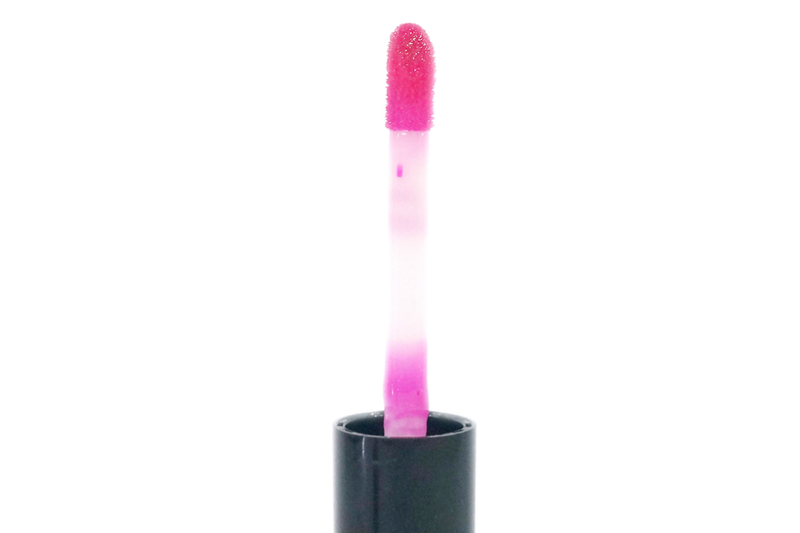 The gloss just coats my lips with a hint of shimmery pink - think less color coverage and more "sparkly." 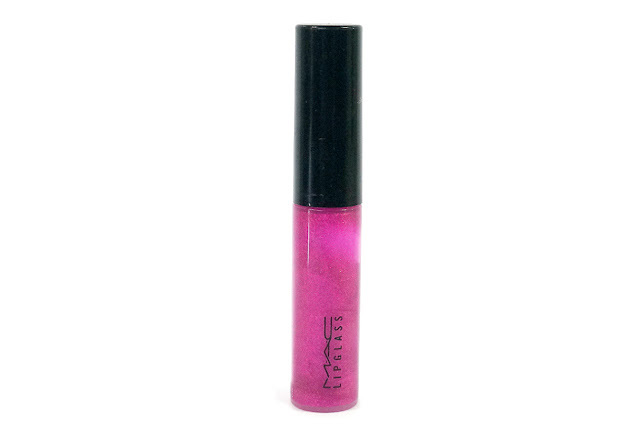 For gals that like lip glosses, it's a great low-key look worn on its own, or on top of any pink-hued lipstick. One of the pros of this gloss is that the shimmers are very fine so they didn't feel gritty. I actually didn't notice (feel) them but they did give off a sparkly, non-frosty finish that's very lovely. 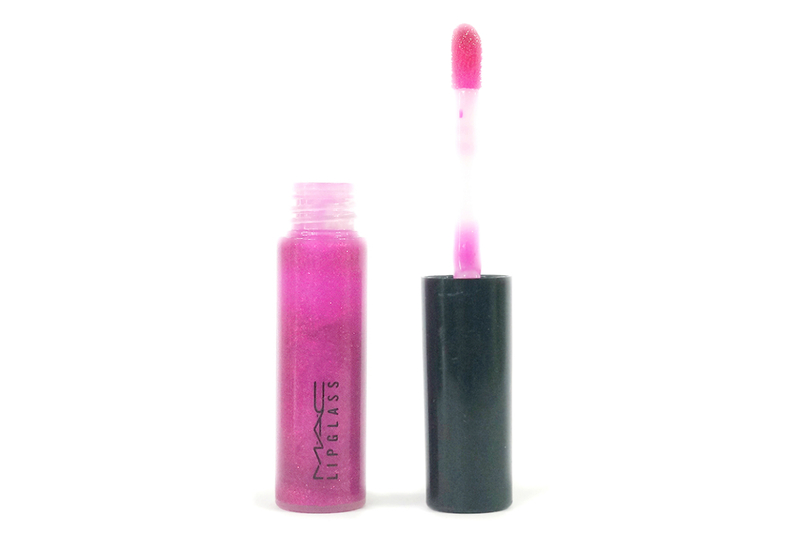 I'm not familiar with MAC's typical lipglass formula but this particular gloss feels tacky and sticky. 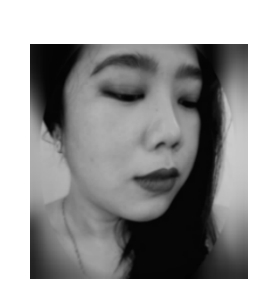 I'm on the fence with it's texture as I can definitely feel that I have something on my lips and I have the constant urge to rub them off. 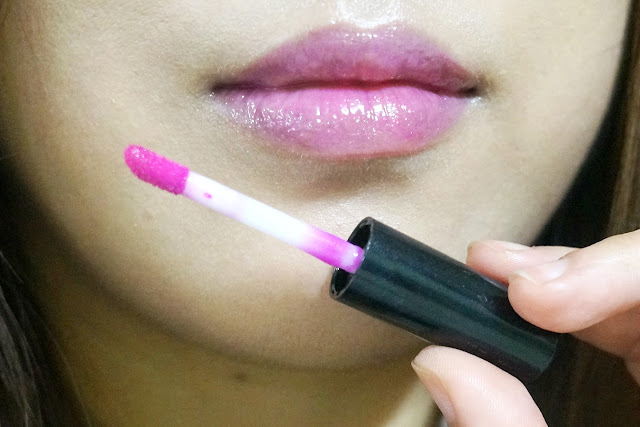 They are not uncomfortable on, just that I have an aversion to sticky lip products. On the plus side, the tackiness gives you longer-than-average wear so I was able to endure more than three hours with this on. This was non-dying and somewhat hydrating. Overall, I am just hesitant paying $16 for a product when I know that I can buy a $5 lip balm that can perform better for me.